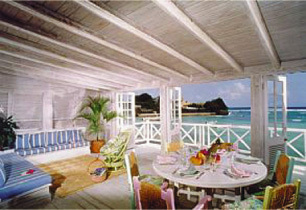 Jarrow is a 19th century coral-stone villa, nestling on the beautiful south coast beach of Half Moon Bay, St Lawrence. 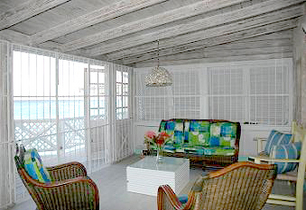 Its gently elevated position allows you to sit on the sun deck and watch the fishermen set out. 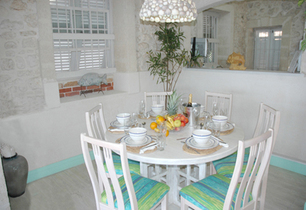 When they return you can have the pick of the day's catch freshly prepared in the comfort of your villa. 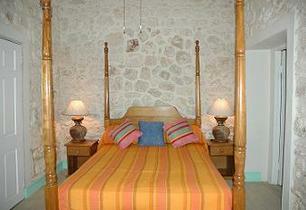 The villa has 3 double bedrooms, 2 large bathrooms and spacious dressing rooms. 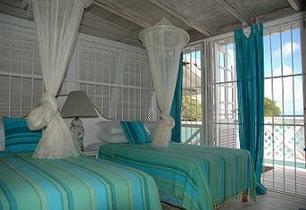 Spectacular sea views from the foyer, living/dining areas, sun deck and well equipped kitchen. 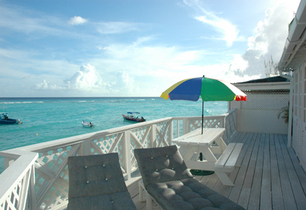 The beach is at your doorstep and, protected by a reef, provides excellent swimming. 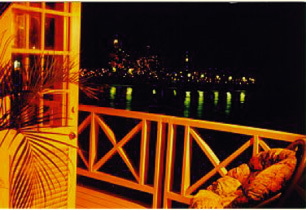 Caribbean breezes waft through the villa and at night the skylights display the beauty of the moon and, in the morning, the rising sun. 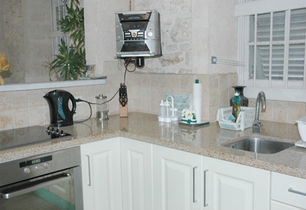 Included are radio, TV, CD player, utilities, bedroom air-conditioning, overhead fans and daily maid service. Snorkelling, sailing, diving and wind surfing available in the bay. Airport is a 15 min drive and leading restaurants, night clubs, supermarkets, shops and golf course are all within walking distance.